So how did Danelle know Steve was The One? “I knew Steve was my person when we first went skiing/snowboarding together, because he was up for going anywhere on that mountain with me (no matter how crazy the terrain). I found my partner that would go on any adventure with me, and that includes the one life puts in our path. His patience and sincerity constantly amaze me, and I feel like I grow as a person each day I’m with him.” How did Steve propose? 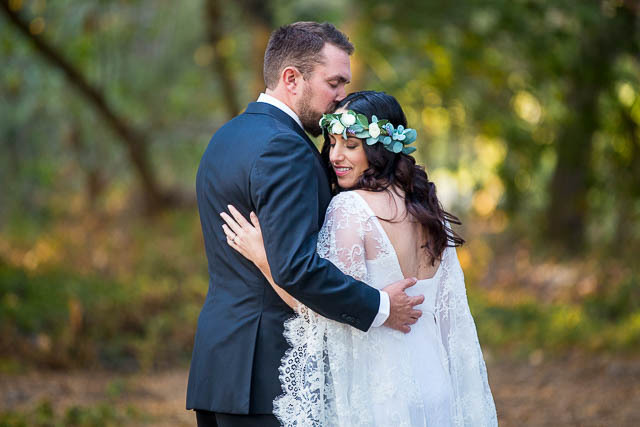 Other than the great temperature for the day, we got really lucky with the perfect rays of sunshine coming through the trees at this Santa Barbara elopement. “We love that the day completely fell into place with only the sunlight to chase as our timeline. The photos were so much fun, and thankfully we had excellent direction! 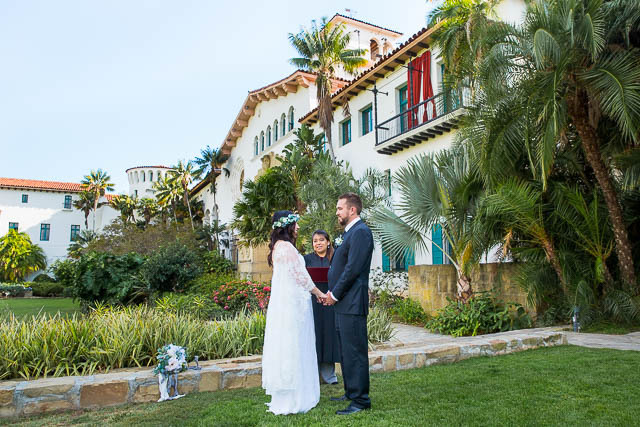 The locations were all so different, as we wanted to capture the variety of Santa Barbara. 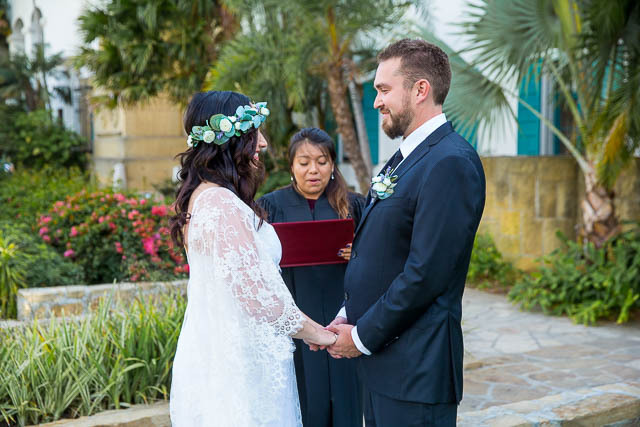 It’s impossible to pick a favorite as the courthouse carries the sentiment of our ceremony, then there was the magical enchanted forest, and the beach was an iconic California evening. It really was so perfect.” So what’s in store for the couple next? “Looking ahead we have so much to be excited for! A new house, and a baby on the way is just the beginning of this amazing adventure we’re on. I look forward to the ups and the downs of life and being able to share the experiences and overcome the obstacles with an amazing partner. It will be so interesting to watch our little girl grow through the years and see what kind of a person she will become. I hope time doesn’t go by too fast, I will have to remember to always cherish the moments as they pass by, and hope that tomorrow is just as amazing as today. I can already tell Danelle will be an amazing mom, she is so kind hearted and Is great with people and animals alike. Kids I suppose will be a combination of the two. Whether it be traveling the world together and living through one adventure after another, or becoming the dorky parents that join book clubs and fantasy football leagues, there is no other person that I would want to share these experiences with.” Congratulations, Steve and Danelle! So many exciting things to celebrate and I am so happy I was able to capture these moments for you!